Bedouins are a nomadic people, living in the steppe and in the deserts of Iran, Iraq, Syria and above all the Arabic Peninsula. The word Bedouin comes from the Arabic Bedu, the plural of Badwai, which means “inhabitant of the desert”. 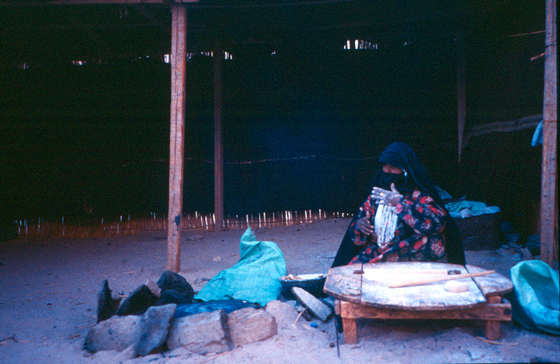 Bedouins live in the beit, a black tent made of goatskins and posts, consisting of two rooms: one for women, and one, the sciaq, for men and guests. It is furnished with rugs, cushions, containers, a few implements and a small hearth where coffee is made.